Our goal is to connect people with the best local experts. We scored home inspectors on more than 25 variables across five categories, and analysed the results to give you a hand-picked list of the best home inspectors in Minneapolis, MN. Acer Home Inspections is a Stillwater company providing home inspection services. The International Association of Certified Home Inspectors-certified organization comprises a one-man team who performs inspections of roofs, gutters, chimneys, decks, drainage, foundations, HVAC systems, among other home areas and appliances. Formed in 1987, Cities’ Inspection Service, Inc. is a Burnsville home inspection company working on behalf of home buyers, home sellers, and realtors. The team of licensed, certified, insured home inspectors, members of the American Society of Home Inspectors and of the American Association of Radon Scientists and Technologists, Inc., offer specialty services as well, for commercial and construction entities needing inspections for radon, moisture, and other problems. Eagle Home Inspections is a Plymouth home inspection company that specializes in performing buyers’ and sellers’ home inspections. Eagle Home Inspections provides convenient, complete home inspection reporting, no matter which side of the sale a customer is on. Customers praise the Eagle Home Inspections crew for its honest, incisive attitude, which ensures trustworthy reporting and straightforward customer service. Gadget Home Inspections, in St. Paul, helps Twin Cities customers needing home inspection services. A member of the International Association of Certified Home Inspectors, the team at Gadget Home Inspections inspects homes and businesses and provides detailed, trustworthy reports about any hazards. Other qualifications include a certification by the National Association of Home Inspectors and training in a range of home inspection specialties and services, including roof inspections, wood destroying organism inspections, deck inspections, and HVAC inspections. Heritage Remodeling has worked in the Minneapolis Metro for more than 20 years. Based in Forest Lake, the business specializes in performing remodels of kitchens, bathrooms, and basements. 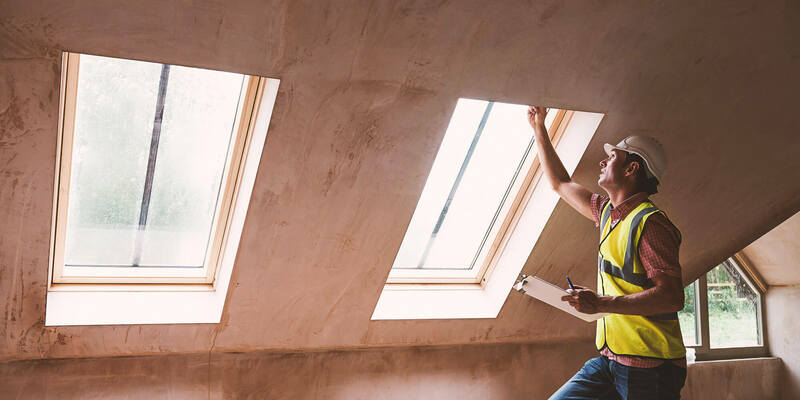 However, the staff at Heritage Remodeling also includes a certified inspector who can evaluate a home’s interior and exterior for structural and safety problems. The inspection includes a comprehensive report with digital photos and suggestions from the inspector. JB Anderson Inspections is an inspection services provider helping clients in the Minneapolis Metro area. The team is certified by the International Association of Certified Home Inspectors to perform sewage system inspections and recall checks, among others. Twin Cities customers contracting JB Anderson receive a detailed report, including photographs, about mold, radon, moisture, and other common household hazards. Jubert Home Inspection LLC is a Saint Paul home inspector serving customers throughout the Twin Cities area. A longtime provider of home inspection services, the team belongs to the National Association of Home Inspectors and adheres to that organization’s ethical standards. Jubert Home Inspection LLC provides a range of home inspection services, and has extensive experience handling recall inspections. Minnesota Home Inspectors is a St. Paul business providing home inspection services to clients in the Twin Cities region. The team of certified members of the American Society of Home Inspectors specializes in carbon monoxide testing and radon testing. Staff inspectors use high-tech methods, including thermal imaging hardware that detects water leaks and hot electrical connections. Oye Home Inspections, Inc. is an inspection services business that has served Minneapolis area customers for more than 30 years. The Prior Lake contractor has been certified as an examiner and inspector by a range of organizations, including the American Society of Home Inspectors, the International Code Council, and the state government. He specializes in helping buyers and sellers find any problems or hazards that might diminish the home of a residential or commercial property. Prairie Home Inspections is a team of property inspectors located in St. Paul since 1997. Serving clients throughout the Twin Cities community, the staff’s trained, certified home inspectors inspect for a variety of inspection services for commercial and residential customers in the area. Prairie Home Inspections specializes in detecting moisture, lead, asbestos, radon, and other health hazards. Radon Squad is a Champlin home inspection business specializing in detecting, mitigating, and reducing radon. In compliance with Minnesota Department of Health recommendations, the team helps homeowners and realtors find and eliminate the colorless, odorless carcinogen. Radon Squad is certified and belongs to the American Association of Radon Scientists and Technologists. Reassurance Home Inspection LLC is a home inspection contractor in Minneapolis who has helped local realtors, home buyers, and home sellers for more than 20 years. An active member of the BBB with an A+ rating and vice president of Midwest Association of Home Inspectors. Also specializes in radon and mold inspection. Ross Brown Certified Home Inspector, a contractor based in Mound, inspects and appraises homes in the Minnesota Metro. A member of the Better Business Bureau, the American Society of Home Inspectors, and the Minnesota Association of Realtors, specializes in inspecting for radon, moisture, mold, and asbestos. Ross Brown comes highly recommended by online reviewers, who praise his pleasant customer service and his extensive knowledge of the industry. Structure Tech has served the Minneapolis Metro area for nearly 30 years. The crew of consultants, certified by the American Society of Home Inspectors, inspects homes for radon, mold, and moisture, as well as homebuyers inspections. The Kirwin Group specializes in performing Minneapolis home inspections in accordance with the 2003 Truth in Housing ordinance, a statewide series of home safety standards. The Kirwin Group’s team of licensed, insured, certified home inspectors is qualified to prepare Truth in Housing reports on behalf of sellers, who are legally obligated to provide the report to any prospective buyers. The team is certified by the American Society of Home Inspectors and also performs basic home inspection services. Based in Eagan, Windsor Home Inspections is a business providing Minneapolis Metro home inspections. The certified, insured team of inspectors belongs to the American Society of Home Inspectors and adheres to the organization’s standards. They perform listing inspections for realtors, home maintenance inspections for homeowners not looking to sell, and new construction inspections, in addition to buyers’ and sellers’ checks. Staff specialists have thermal imaging technology that helps them detect hazards.